For the past six years, the recordings of Nigerian multi-instrumentalist Fela Kuti have been reissued in a series of limited-edition vinyl box sets, curated by peers and fans including Questlove (2011’s volume 1), Ginger Baker (2012’s volume 2), and Brian Eno (2014’s volume 3). The Legendary Roots Crew played an epic Tiny Desk Concert in DC over the weekend, and the whole place was bouncing. 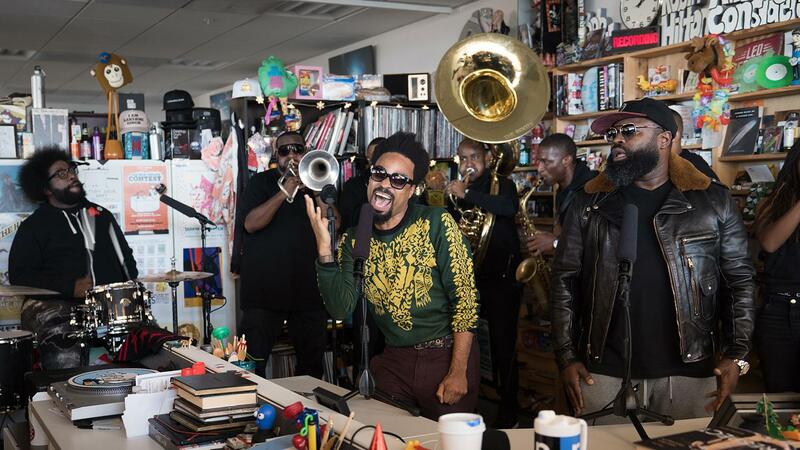 Most artists fill their slot at NPR with two or three songs, but The Roots were jamming out to one song, twelve minutes, eight people crammed behind the desk brass band style. 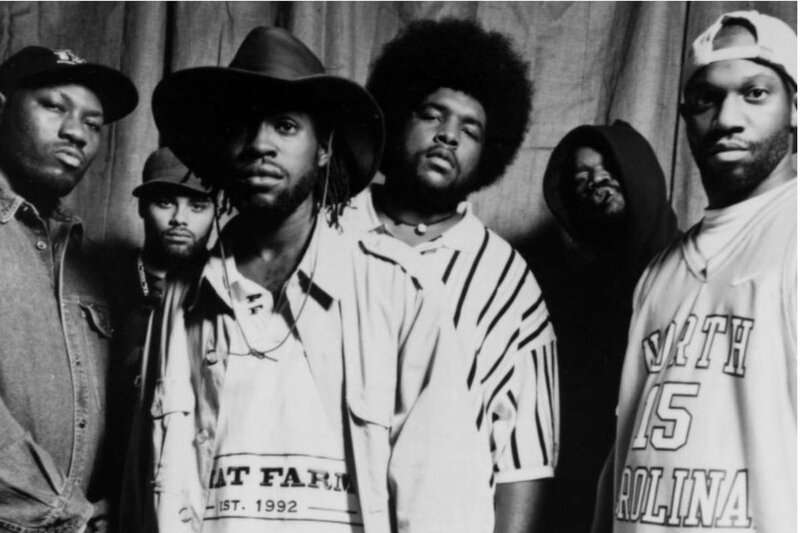 Jimmy Fallon is lucky to have The Roots as his house band for The Tonight Show. Pretty much every night he gets to hear the Philly legends, and for Monday’s episode, though, it was a little more amazing than usual.